We know you can find your next car just about anywhere. 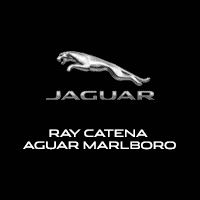 But at Ray Catena Jaguar Marlboro, we are happy to welcome you to our dealership, where we seek to provide Marlboro, Freehold, and Englishtown drivers with a special experience. Whether you’re looking for a brand new car or browsing our pre-owned vehicles, our inventory is always evolving. If you’re already driving a Jaguar, great! We look forward to providing comprehensive service and care for it. Jaguar is a truly modern luxury brand. If an elegant, sophisticated car is what you desire, a Jaguar is a great place to look. There are a number of perks and features worth exploring. The luxury sedan models like the SE, which comes in rear-wheel or all-wheel drive, are sporty and fun to drive. The XF sedan is sleek and sporty, and highly impressive. The XJ is refined, with a longer wheelbase model available. The all-new electric Jaguar, the I-PACE, is boldly designed, and one charge can allow drivers to go long distances. If you’re looking for more affordable options, then the pre-owned models are worth seeing, too. Jaguar Approved Certified Pre-Owned cars undergo an extensive inspection performed by Jaguar technicians before they hit the lot. And, these cars come with 24-hour roadside assistance and a 7-year/100,000-mile limited warranty, so you can drive confidently. Once you’ve found a car, you’re going to have to figure out how to pay for it. That means discussing a loan or a lease with our financing team. There are advantages to both, and we’ll be sure to tell you all about them if you’re undecided. At the end of the day, our goal is to get you on the road and behind the wheel of a car you love to drive. We have relationships with banks and lenders from throughout the region, and will work with them to find a great deal for you. Begin the process by filling out the secure finance application on our website. It’ll save time spent filling out paperwork at the dealership, and we’ll be able to start the financing process before you even visit us for the first time. You’ve made an important investment in a Jaguar, and now it’s time to care for it. That’s where our service center comes into the picture. Our highly qualified technicians are standing by and ready to assist with any of your vehicle needs. With the Jaguar EliteCare program, you’ll have a 5-year/60,000-mile coverage, complimentary scheduled maintenance, and roadside assistance. These features help to ensure your focus is on the driving experience, while we’re here to handle all the important maintenance and service. The staff at Ray Catena Jaguar Marlboro looks forward to seeing you here at our Marlboro, Freehold, and Englishtown Jaguar dealership. Find the car that drives for you! Start the process by browsing our inventory online. Of course, we’d be happy to serve you here on our lot, too. Have any questions for us? Don’t hesitate to get in touch.